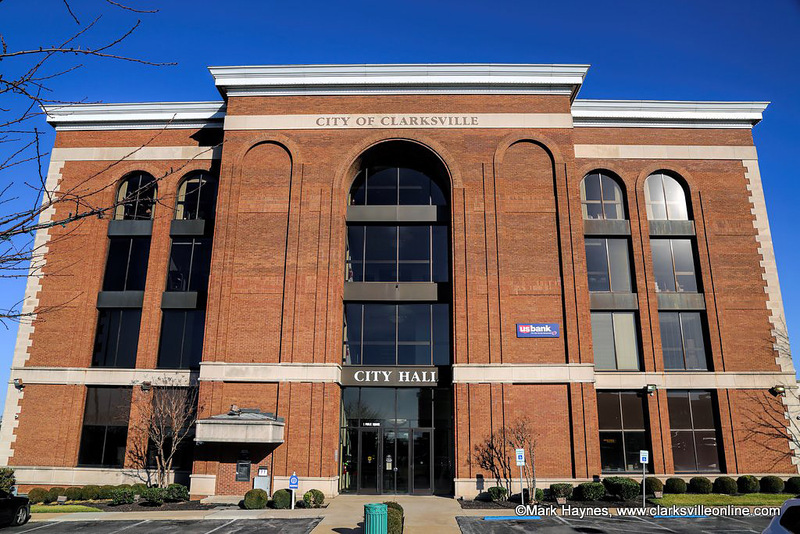 Clarksville, TN – Qualified non-profit charitable or civic organizations serving Clarksville have an opportunity to seek the City’s financial support on a limited basis. The City is authorized under state statute (TCA 6-54-111) to appropriate money for non-profit organizations. The law also outlines which non-profit charitable or civic organizations are eligible. 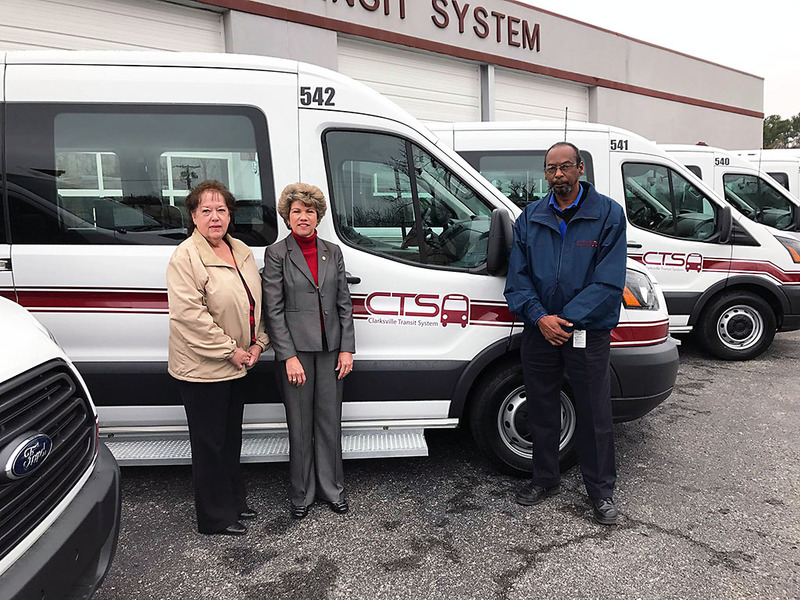 Clarksville, TN – The City of Clarksville Transit System (CTS) has received nine new paratransit vehicles. Funding was received for all nine vehicles through the Enhanced Mobility of Seniors and Individuals with Disabilities Grant Program. The total funding received was $367,311. 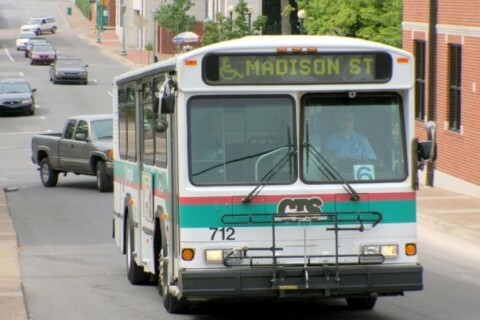 These vehicles will average 110 trips per day and began to service the community on December 7th. Clarksville Mayor Kim McMillans stands long side the new Clarksville Transit System Paratransit Vehicles. 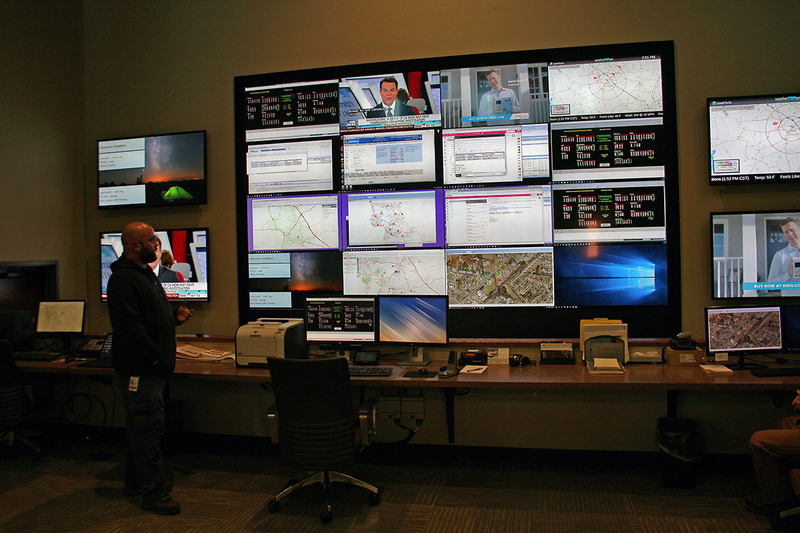 Clarksville, TN – CDE Lightband, the City of Clarksville’s electric power and broadband services utility, showed off its new control center last Thursday, December 1st, 2016. The Supervisory Control and Data Acquisition center, or SCADA, is the nerve center of CDE’s electric power delivery system. Using CDE Lightband’s fiber optic network, technicians in the center now monitor the system in real time, diagnose outages, redirect the flow of power if necessary and direct repairs. CDE Lightband technicians at the utilities new control center display some of the new digital video tools used to monitor, diagnose and repair the City of Clarksville’s electric power system. Montgomery County, TN – Nominations for the Ninth Annual Governor’s Volunteer Stars Awards are now being accepted within Montgomery County. 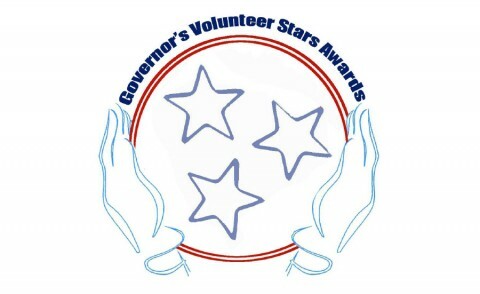 The awards will celebrate the efforts of volunteers who strive to improve their communities through service. One youth and one adult will be selected in Montgomery County to receive this prestigious award. Mayor Jim Durrett says the efficiency project is projected to save the Montgomery County Government $358,827 in the first year. 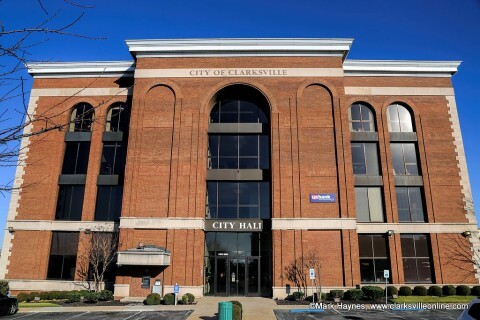 Clarksville, TN – Area residents now have another location – Clarksville City Hall — where they can renew their driver’s licenses. 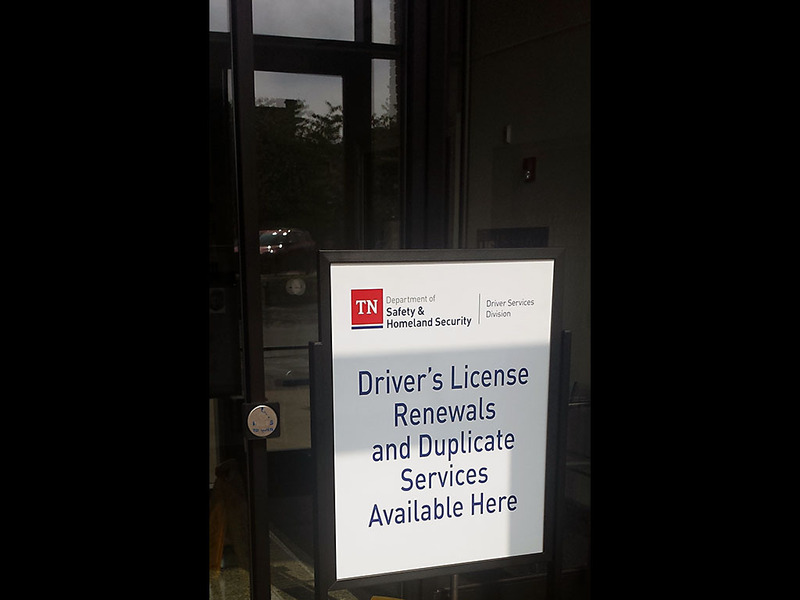 Citizens can drop by the revenue collection office on the first floor at City Hall, One Public Square, from 7:30am to 5:00pm weekdays to renew or replace their state driver’s license or state identification card. There is free one-hour parking nearby. 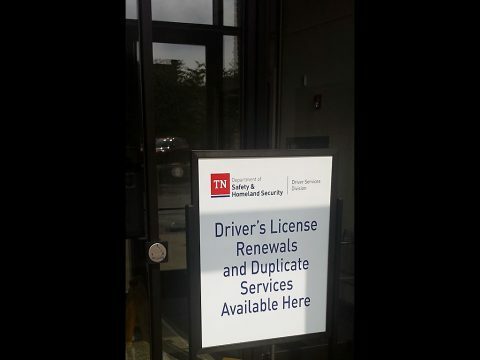 A sign at Clarksville City Hall directs citizens to the first floor revenue collection office, where they now can renew or replace state driver’s licenses and identification cards. 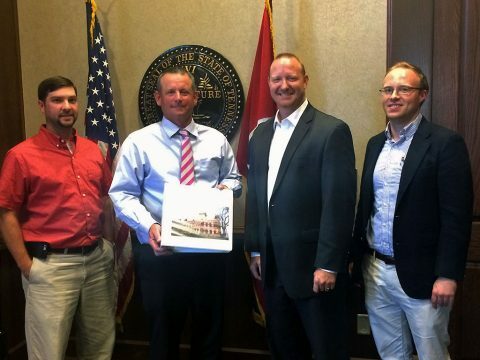 Clarksville, TN – For the second year in a row, the City of Clarksville has been awarded the Certificate of Achievement of Excellence in Financial Reporting by the Government Finance Officers Association of the United States and Canada (GFOA). “I am very excited that the City has received this honor again this year,” said Clarksville Mayor Kim McMillan. 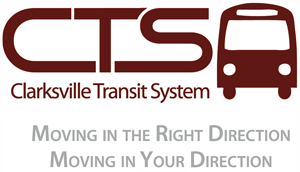 Clarksville, TN – Clarksville Mayor Kim McMillan is excited to announce that the Clarksville Transit System will begin offering bus service to the Clarksville – Montgomery County Industrial Park beginning April 4th, 2016. 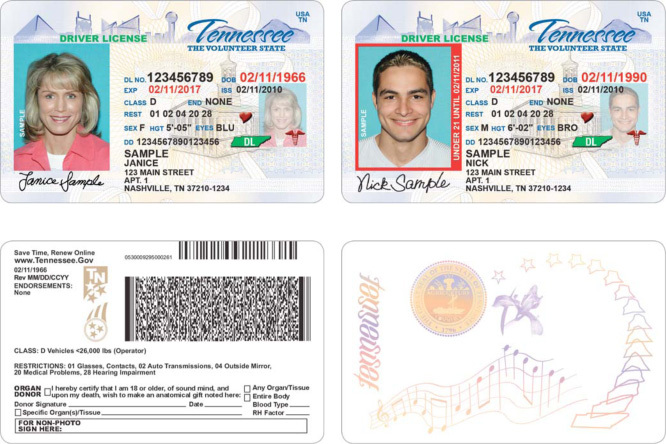 Clarksville, TN – Under a contract with the Tennessee Department of Safety and Homeland Security, citizens will soon be able to renew or replace an existing driver’s license or state identification card in Clarksville’s City Hall. 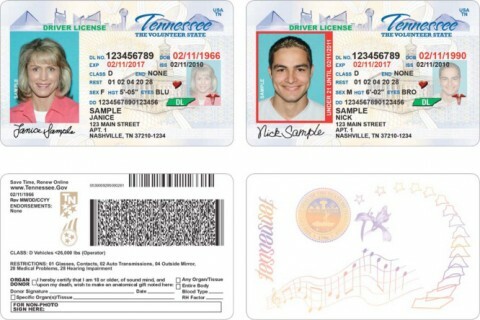 You will soon be able to renew or replace an existing Tennessee driver’s license or state identification card in Clarksville’s City Hall. Clarksville, TN – The City of Clarksville and the presidents of the Sunrise Rotary Club, the Noon Rotary Club and the Sunset Rotary Club signed a Memorandum of Understanding for the construction of a new splash pad and playground areas in Heritage Park. 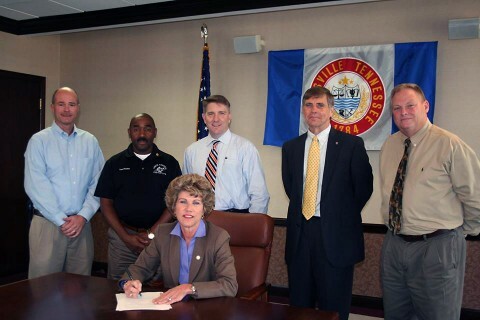 Clarksville Mayor Kim McMillan signs Memorandum of Understanding for the construction of a new splash pad and playground areas in Heritage Park.